I currently have 30 satellite images of my area of interest per year for a total of 5 years, and am in the process of creating the training data set. Pixel-based classification: Classification is done on a per pixel level, using only the spectral information available for that individual pixel (i.e. values of pixels within the locality are ignored). In this sense each pixel would represent a training example for a classification algorithm, and this training example would be in the form of an n-dimensional vector, where n was the number of spectral bands in the image data. Accordingly the trained classification algorithm would output a class prediction for each individual pixel in an image. While understanding that the pixel is the fundamental unit of a satellite image and so it is natural to analyze spectral information contained within, I do not understand how this is used in order to process a whole region which may contain 50,000 pixels. The authors use a 30m data set. This is represents 3 pixels from Sentinel satellite imagery. My question is: If I train a neural network on a 30m data set to classify between vegetation and buildings, how would it be possible to test the network to classify an image containing, for example 10,000 pixels? If I train a CNN on images containing only 3 pixels how can I test effectively on larger images such as the one below? 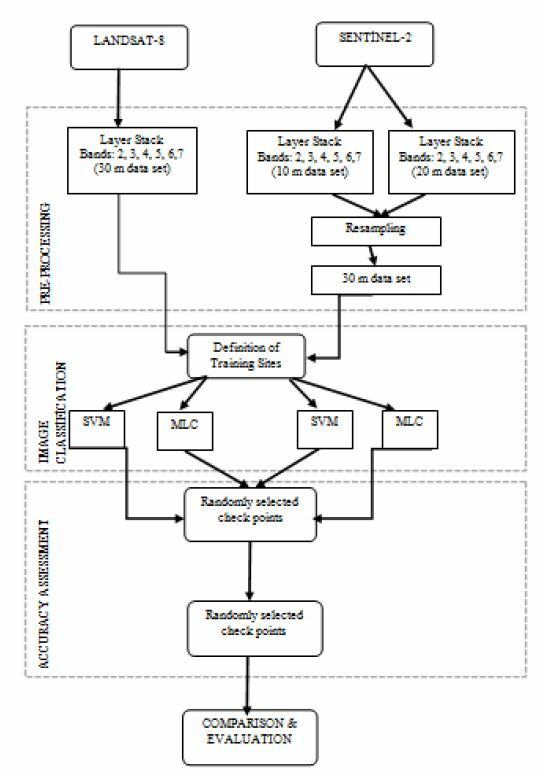 Browse other questions tagged labeling classification machine-learning or ask your own question. Using WEKA J48 classifier for satellite image classifications? 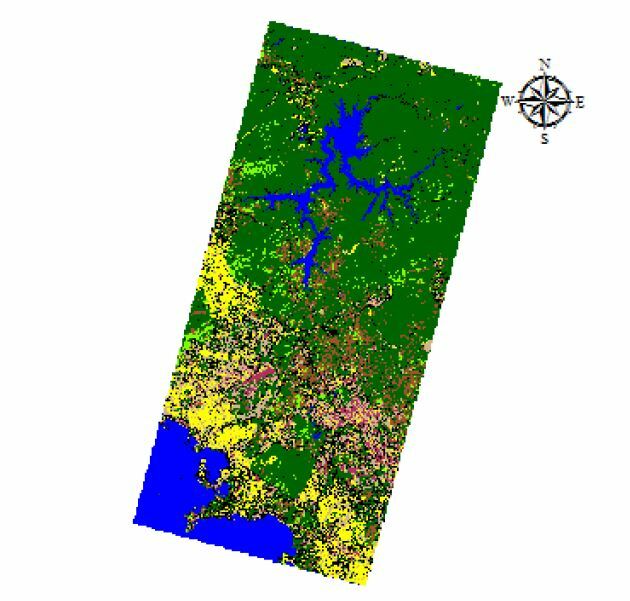 How do you classify unclassified pixels in a land cover geotiff tile? Avoiding overestimation in impervious mapping using raster/shapefile training data?